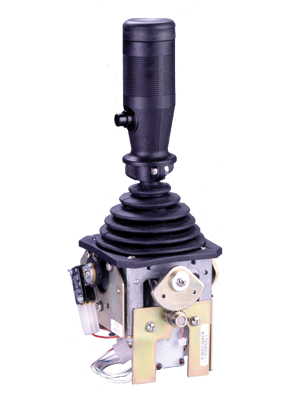 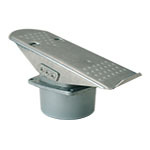 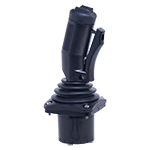 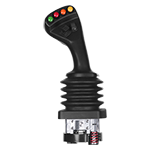 The JS6 type joystick offers the ruggedness of the JS2/JS3 controllers but in a more compact size. 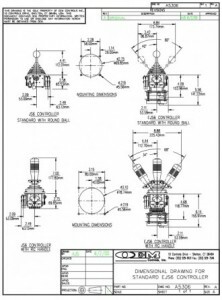 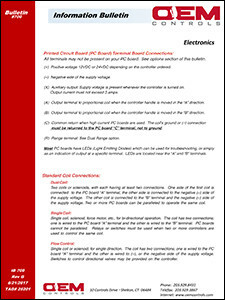 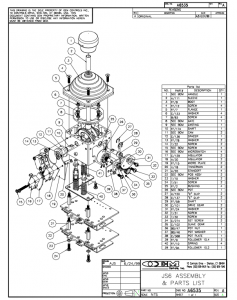 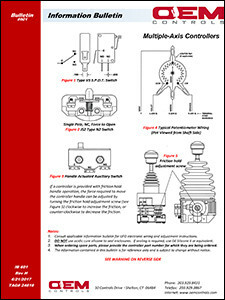 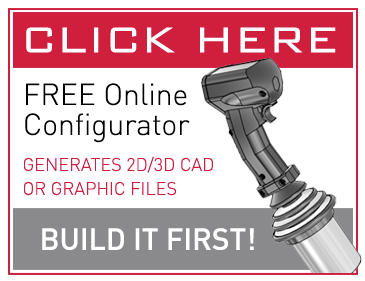 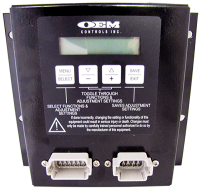 Options include custom fixed cam operated switches, gear driven potentiometers, and electronics for the precise control of electrohydraulic proportional valves. 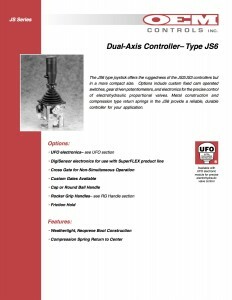 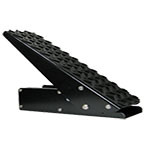 Metal construction and compression type return springs in the JS6 provide a reliable, durable controller for your application.